This 2009 model has been built to last..
CGear MultiMats for your tent and the new Quicksand Mats. Sand falls straight through & doesn't come back up. Looking for an easier way to go camping? Hire a Johnno's Camper Trailer - so easy and quick to set up. Located in the North Eastern suburbs of Melbourne, Victoria, Diamond Creek is in easy reach from everywhere. Just 10min from the end of the Ring Road and only 30km from the CBD. We provide personalised friendly, helpful and honest service. Our hire models are clean, well-maintained and serviced regularly. Drop in and see our range. We will show you how the tent sets up and give you a full tour of the features. We will demonstrate the setup of our Camper Trailers - and you can even have a try yourself. Phone or email for details and pricing. 2nd water tanks, electric tap, 12v outlets, 150Ah batteries & LED lighting inside & out with the Deluxe Camper Trailers from Diamond Valley Camper Trailers. There's roughing it and then there's OFF-ROAD DELUXE – for when you'd rather rough it in style. If you crave off-road adventure but still want to live it up in a little affordable luxury, look no further. Durable, dependable and designed for pure pleasure, describes it perfectly. The OFF-ROAD DELUXE will follow you anywhere and tackles rugged conditions with ease. You'll be so spoilt for space, performance and handling, you may never want to head back to the suburbs. Take your next camping trip in a whole new direction – go deluxe all the way! Tried and tested through years of rigorous hire fleet experience, the robust ALL ROUNDER is designed to meet the most challenging conditions and demanding budget. It's the ultimate entry level trailer ideal for camping enthusiasts who are happy to get back to basics, but with the versatility to add rooms and storage later. If it's reliability, comfort and bang for your buck you're looking for – you'll find the ALL ROUNDER hard to beat. For quick getaways, extended adventures or anything in between … the ALL ROUNDER rocks! Diamond Valley Camper Trailers takes in much of Melbourne's North East. Located on the edge of suburbia, Diamond Creek is a convenient 'Point A' for a trip North on the Hume to the Murray River or even Cape York. Travel South on Eastlink to Gippsland, Phillip Island or the Mornington Peninsula. Head East where Yarra Glen and Healesville provide the gateway to the popular and famous Yarra Valley with it's multitude of tourist attractions or further East to explore the treasures of Eildon and the High Country. Venture West on the Ring Road to the Grampians, or what the heck? - keep going to the Flinders Ranges or even the Tanami Desert! Diamond Valley Camper Trailers boast a high quality finish, and let you spoil yourself with a queen size bed, gourmet cooker, sink and water tank, and ample storage space for all the essentials. These Camper Trailers can be erected in minutes to reveal a living area large enough to accommodate a family of five, and a large awning for shade and relaxation. Diamond Valley Camper Trailers offers you the best of both worlds with our convenient Camper Trailer Hire service. Once you get away in one of our camper trailers, you'll be hooked - that's what makes hiring the ideal way to 'try before you buy'. If you're new to camper trailers, hiring a Camper Trailer means you can take them away for a short break and really get a feel for the comfort and easy handling. Make your camper trailer your home away from home. No need to lose the comforts you enjoy. The Deluxe model camper trailer is available for hire. It has all the features to add to your 'camping in comfort' experience. Diamond Creek is in easy reach from everywhere. and only 30km from the CBD. We have only top quality Australian made Camper Trailers. We offer the choice of basic or optioned up hire models and constantly turn over our hire fleet giving you the latest models, so you know you are getting the best. We've always loved camping and we also love hearing all the stories from our customers as they return from their own adventures across this large continent. - starting from as little as $8. Click on 'read more' at the bottom of this page to find out more and see pics. Hillbilly Camping Gear - cookware for the experienced or budding camp chef. Hillbilly can also be used in the kitchen at home. Solar Camping solar panels, LED light strips, remote dimmer switches, etc. Evakool fridge/freezers, eskies & Travelmates. CGear MultiMats in various sizes. We have a large range in store. we'll order it in for you. After a quality camper trailer? Come into our premises at Diamond Creek. New and used models available now. We demonstrate the pack up and set up of our camper trailers for you. 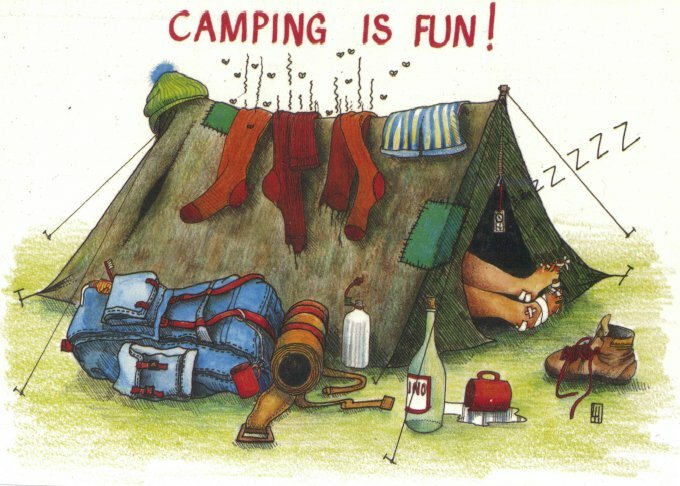 We stock a range of camping gear.